Have you ever tried changing a diaper blow-out with inferior baby wipes? I have and it’s not pretty. When they’re too thin, they tend to fold over as you use them, eventually curling into a little ball. When that happens, it won’t be long before you get poop on your hands. A few good wipes, on the other hand, can make all the difference when the you-know-what hits the fan. Wipes are the unsung heroes of diaper changes; without them, you’d be in deep doo-doo. This guide will show you how to find a great product so you can keep your hands and your baby’s bottom clean. Use the links above to check the latest prices or read our in-depth baby wipes reviews below. Is it That Difficult to Select Baby Wipes? What About Cloth Wet Wipes? How Many Baby Wipes Will I Need? I know, buying wipes seems like an easy thing to do. But anyone who’s ever walked through the baby aisle at a local store knows how complicated things can get. There are so many choices available it boggles the mind. There are scented and unscented ones, thick ones, textured ones and ones designed for sensitive skin. But if you buy them based on price alone, you’ll be sorely disappointed. The cheapest ones often require you to use more at a time per diaper change, so in the long run, that bargain buy ends up costing you more. As a mom, when you’re navigating major parenting decisions like daycare or breastfeeding, you don’t have time to worry about little details like wipes. But when you’re stuck dealing with a diaper that really requires a hazmat suit and your wipes tear and let you down, you’ll appreciate that this is a “little” detail that can be a big deal. So before you settle on a box of wipes, you’ll want to do your homework and figure out which ones are going to have your back in any sticky (sorry) situation. Baby wipes are some of the worst offenders when it comes to landfill waste. They represent a whopping 30% of non-biodegradable (source). Flushing them down the toilet, even when they are the “flushable” kind, is even worse than throwing them away. With my first baby, I didn’t even realize cloth wet wipes were a thing. I didn’t know anyone who used them. But since I’ve become more familiar with an eco-friendly lifestyle, I’ve realized that these are the cheaper and more socially responsible option. If I had to do it all over again, I’d try to work some cloth wipes in. I’m not saying I would completely back away from disposables because they are handy in some situations. But I would try to cut back on the number of disposables I used. In addition to the economic and environmental benefits, cloth wipes don’t contain the chemicals or potentially harmful ingredients that disposables do. So parents who are worried about the ingredients that they’re introducing to their babies in the name of clean skin may want to check out cloth wet wipes instead. You’ll want to consider a few factors. Back in the day before you had kids, you probably never guessed you’d spend this much time thinking about diaper wipes. But in my experience, a little research goes a long way. Container type: You can get some that are giant tubs and some that dispense one at a time, like a Kleenex box. If you hate having to peel apart wet wipes since they can cling fiercely together, the Kleenex box-style is the one you want. Thickness: Trust me on this one — you do not want something overly thin. You’ll regret it with the first messy diaper. Thicker is better, especially if they’re a bit textured because they’ll pick up mess better. If you want a sensitive skin formula: If you have sensitive skin, there’s a good chance your baby will too, and if so, you’ll want to buy specially-designed formula. Store brand or name brand: I’ve used both, and to be honest, a well-known brand name and a higher price tag didn’t always mean a better wipe. My advice is to keep an open mind. You may be pleasantly surprised by a cheap tub you thought you’d hate. Scented or unscented: Your baby won’t care if their bottoms smell like lavender — you’re the only one with a preference on that! Just be aware that scented products contain ingredients that aren’t necessary for cleaning your baby and can even irritate their skin. Safety of ingredients: If you’re suspicious of the additives used in some brands, there are organic and natural alternatives to give you extra peace of mind. You love them, but children can be messier than you ever thought humanly possible. The humble baby wipe will save you countless run-ins with sticky fingers, gross diapers, boogers and more, provided you pick a brand that’s up to the job. When your baby has eczema it can be hard to find products that won’t aggravate the condition. First, you’ll want to find a natural material like cotton or bamboo. Stay away from chemicals that are known irritants to skin like methylchloroisothiazolinone and phenoxyethanol. 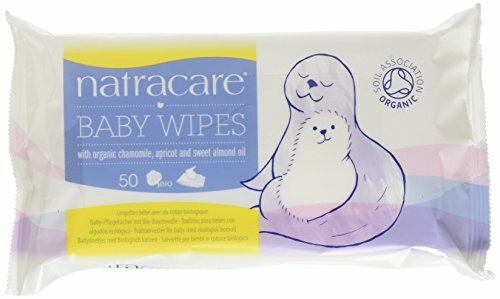 Waterwipes have earned the National Eczema Association of America Seal of Acceptance so if you have a baby with eczema, this is something you’ll want to consider buying. They’ve also won honors such as the 2017 Family Choice Award and the 2017 Top Choice of the Year babyMaternity Magazine Award. They’re a great choice for babies with sensitive skin because they’re hypoallergenic, without any of the harmful ingredients some parents want to avoid, like chlorine, formaldehyde and phthalates. The ingredients are 99.9 percent purified water and a bit of fruit extract in the form of grapefruit seed extract, which is a natural skin conditioner. The wipes themselves are made from viscose and polyester, and are also ideal for adults with sensitive skin or who frequently break out in rashes. If your child has eczema, you won’t find anything better. They’ve won awards and have an endorsement from an eczema group. These aren’t fully biodegradable if you’re worried about the environment. Although they're a smaller part of the wet wipes market, natural baby wipes are definitely available for parents who want them. These don’t use the potentially harmful chemicals and additives you might be worried about, but all-natural ingredients to clean your baby’s bottom safely. Though certainly not cheap, if your heart is set on natural ingredients, you may want to consider these wipes. If you worry about using ingredients you can’t identify on your baby’s skin, you’ll feel a lot better with these at your side. They’re made 100 percent from bamboo so they’re strong enough to handle the worst diaper changes your baby can muster up, all while being soft enough to feel nice on their skin. They don’t use irritating chemicals like parabens, phenoxyethanol, chlorine, or dyes. The ingredients include organic aloe vera, chamomile, green tea extract, plus lavender, lemon, and tea tree oil. These ingredients will clean your baby as they soothe their skin. This will work for every type of skin, and they were created by people who know what they’re doing when it comes to natural ingredients — herbalists, naturopaths, and pharmacists. Most of the ingredients are plant based, which is nice for parents looking for natural alternatives. Bamboo is a known hypoallergenic and environmentally friendly material. They’ll work for every skin type. These have a pretty strong odor to them. Wet wipes for sensitive skin avoid the ingredients that babies routinely react to, which gives parents peace of mind. No one wants to see their baby with a horrible-looking rash on their bottom. If you have skin sensitivities yourself, you’ll probably want to go with this kind of wipe. 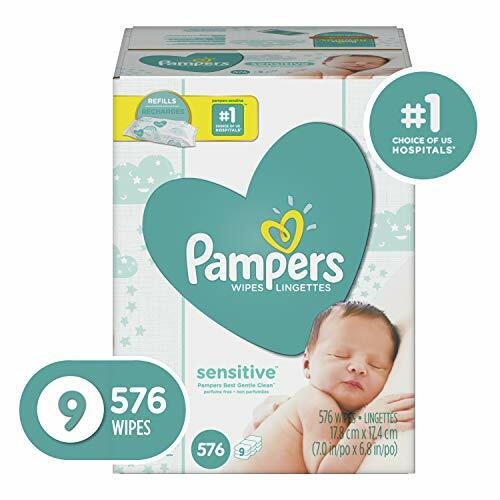 These mild wipes have been tested by dermatologists and don’t contain the perfumes, which sometimes trigger allergic reactions or rashes in babies. They use a soft grip texture so your baby will be gently, but effectively, cleaned after a dirty or wet diaper. The material won’t feel harsh against your baby’s skin — or yours. Thicker than the ones from Pampers, they won’t shred or cling right when you need them most. That would have come in handy during some of the worst diaper changes I had, where the wet wipe rolled into a useless clump I couldn’t throw away fast enough. If you’re looking for natural wet wipes, these don’t fit the bill. But they are good for sensitive skins, and they are an affordable option. The price is affordable for parents who are strapped for cash. They are thick and textured enough to do the job without using too many wipes at a time. Their scent is light, and they’re very moist. They do leave a bit of an oily residue, which is likely one of the moisturizers they include. Some parents have complained about little strands sticking to their baby’s skin. Sometimes it all boils down to money. As a parent, it can feel like you’re bleeding money all the time. If you want to save some money, you may find that the best place to cut corners is on wet wipes. Affordable brands may not be as thick, but you won’t feel like you’re throwing away your money. 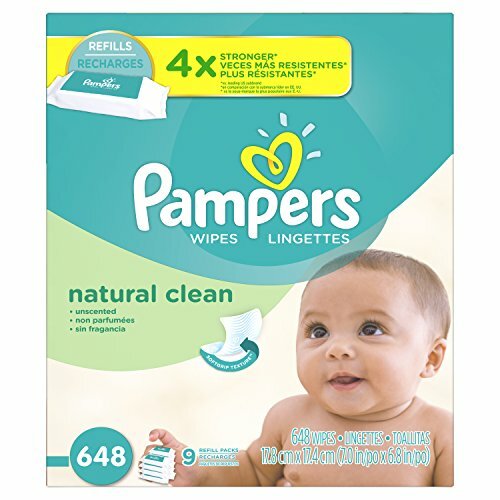 Made with pharmaceutical-grade purified water, cucumber, aloe and green tea oil, these baby wipes from Amazon provide a gentle clean at a price you’ll love. 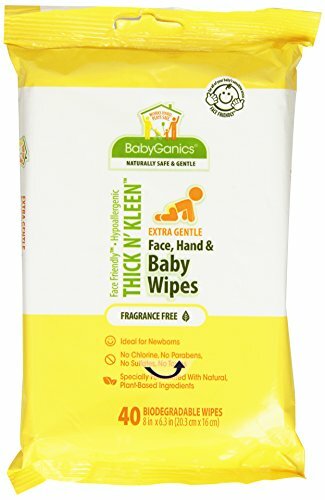 Soft, yet sturdy, these wipes are large and can be used anywhere on your baby’s body. They’re perfect for mealtime to clean those sticky faces and hands or keep them in your diaper bag to take care of the yuckiest messes in a jiffy. By choosing Amazon’s auto-deliver option, you can save between 5 and 15 percent on each order, which brings the price two cents per wipe. Not only do you save money, but you save time and precious energy by having these wipes delivered right to your door when you need them. Each flip-top pack comes with 80 wipes. Made in a zero-landfill plant, they are also free from dangerous chemical irritants, including alcohol, dye, parabens, and phthalates. They’re perfect for a baby’s sensitive skin. Auto-delivery saves you money and time. Free of harsh chemical irritants you don’t want on your baby’s skin. Soft, yet sturdy to tackle the toughest messes. Some moms have seen rashes on their babies after using these wipes, so make sure they’re not allergic to any of the natural ingredients by testing on a small patch of skin. Dealing with a diaper rash is often worse on the parents than it is on the baby. We hate to see our babies suffer. If your bundle of joy has a diaper rash, look for a wipe that doesn’t contain many ingredients or else has oils that help heal the skin. Infused with chamomile, these should be soothing to any diaper rashes your baby develops. But before using these, you may want to reconsider if anyone in your family has an allergy or sensitivity to chamomile. Also, they use other plant-derived ingredients including a seed oil blend made from tomatoes, sunflowers, cranberry, black cumin, and red raspberry. These are all non-allergenic and supremely comforting when used on already irritated skin. Plus, they’ve been tested by dermatologists and pediatricians. A plus is that they don’t have an odd or overpowering fragrance to them, and you use one, it won’t leave much of a residue. The natural ingredients should feel calming on your baby’s bottom. Large enough to fully protect your hands from messes. The scent is light and barely noticeable. They’re moist enough to do the job, but not as moist as some other brands. Newborns have ultra sensitive skin that needs to be handled with care. 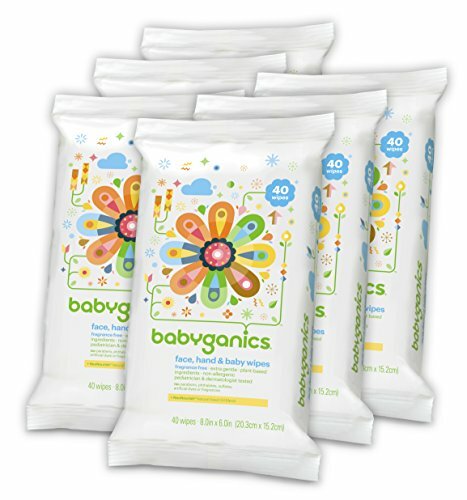 Baby wipes formulated for your tiny bundle of joy will be free of chemicals while still providing a great clean. You can use them with confidence knowing you’re starting your little one off right. Huggies has formulated a wonderful baby wipe for newborns. They feature natural ingredients specifically chosen to clean your baby’s skin gently, but effectively. They’re also free of chemicals that could causes rashes or allergic reactions, such as parabens, fragrances, and alcohol. 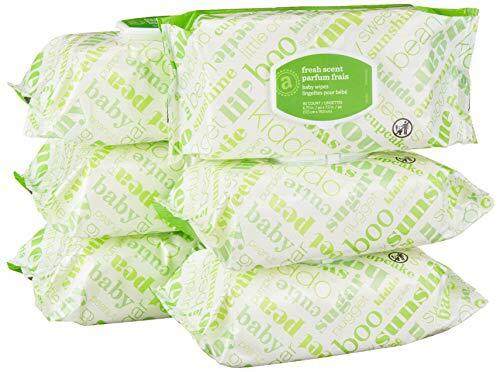 Enriched with aloe vera and vitamin E, these baby wipes can be used anywhere on your newborn’s body, including the delicate skin of their face. Because they’re also pH balanced, it will help maintain your child’s healthy skin levels. Life with a newborn is hectic, so we really like that it comes with a refillable pouch. Save money by keeping the original pop-top container, which allows you to grab a wipe with a single hand. This three pack includes 648 wipes in total, so you’ll have enough to last for years. 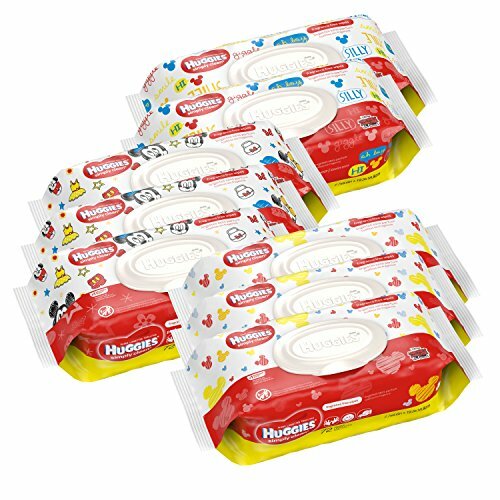 These wipes are great for newborns or as a gift for baby showers. Expecting mothers can then prepared from the very first night. Cleans your baby’s skin gently, but effectively with a combination of chemical-free ingredients. Three pack comes with over 600 individual wipes. Refillable to save time and money. Refills don’t have a sealing option, so don’t lose the original packaging with the close top. Organic brands use a certified material for the base of the wipes, which is usually cotton. They should be chlorine free and avoid the chemicals that some brands use. Moms who worry about the overall health of their babies may want to opt for organic wipes despite the higher cost. These organic wipes will make you feel good about every diaper change you do. The material has been certified 100 percent organic cotton. They use nourishing apricot, linden and chamomile essential oils, plus they’re chlorine-free. A nice feature is that they’re biodegradable, which will go a long way to soothing you conscience about creating extra waste. Even better, you can throw these onto the compost heap if you have one. Parents who use vegan products for their babies will like that these meet that standard as well, since they aren’t tested on animals and don’t use any animal ingredients. It’s great that the package is resealable so that they won’t dry out. But it isn’t a huge pack unfortunately — you’ll only get 200. All the ingredients are from organic sources. They don’t have an overwhelming or chemical-like smell like some do. They’re brilliant for sensitive skin. They’re a bit thinner than some other brands. Newborns often have incredibly sensitive skin, so you’ll want something that doesn’t irritate them. While normal wipes will work for the majority of infants, if you buy them and your baby develops redness or a rash, you’ll need to switch to a brand for sensitive skin. 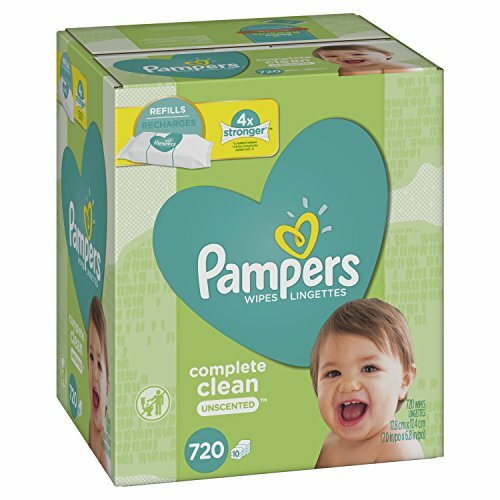 Pampers wipes are appreciated by parents because they tend to be stronger and sturdier than many other brands. Plus, since they aren’t as thin and clingy as some others, they’ll cover your whole hand while you’re doing a diaper change. For new parents who aren’t used to handling outrageously messy diapers, that extra protection is a godsend. While this wipe is great for parents, it’s also a decent pick for newborns and will feel super soft on a baby’s skin. They’re unscented so there aren’t any unnecessary perfumes that will irritate your baby’s skin, and hypoallergenic, which is great for allergy-prone babies. A nice touch is that they include lotion that’s been formulated with pure water. Unless your baby has a sensitivity to aloe, which is one of the ingredients, these will be lovely and soothing on their bottom. These are strong and can deal with big messes. You can use these to wipe down faces and hands without suds or a lot of residue. They aren’t quite as wet as many other brands are. Some parents get annoyed that they cling to each other when you remove them from the pack. Camping can create big messes so you’ll need a heavy-duty wet wipe that will be able to keep up with all the dirt you’ll be encountering. You’ll want something that's stronger than the competition so you can use them in a pinch to clean your baby’s hands, feet and legs off too. 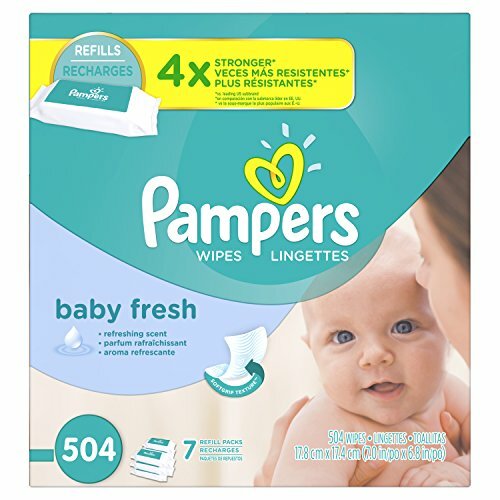 Pampers Baby Fresh wet wipes are super strong and they have a soft grip texture so they feel soft, but they’re still great at scrubbing away what you don’t want on your baby’s skin, whether it’s poop or dirt. They don’t seem to rip even when you’re fighting to clean a very messy baby. These are hypoallergenic and have only a light scent, and include a little comforting lotion, which is good news for babies with sensitive skin. You’ll get 504 of them in a set of seven refill packs. It doesn’t come with a refillable tub, so if that’s the type of container you want, you’ll have to order it separately. Finally, if you have a wipe warmer, these will work great because of how thick and wet they are. They’re affordable for what you get. Thick enough to get the job done. They don’t feel greasy or sudsy. They don’t come with a tub and the package they’re in can’t be resealed. Some parents feel the smell is a bit overwhelming. Moms who are sensitive to odors will want to buy fragrance free baby wipes. These are also a good choice for parents who don’t mind odors, but don’t see the benefit of added fragrance in any case. After all, a baby’s bottom is just going to produce more odor a short while later. 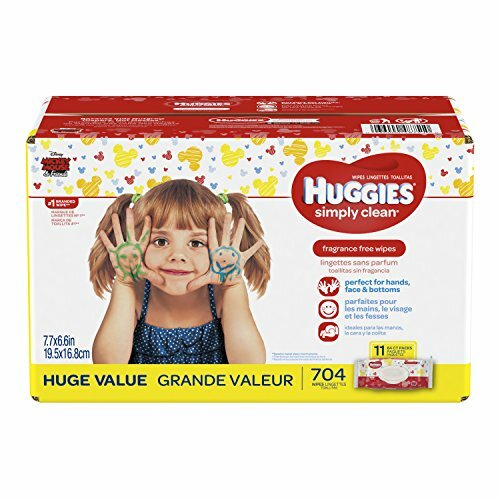 With this bundle, you’ll get 792 wet wipes that can be used on your baby’s bottom, face or hands — basically any place a child gets dirty. Plus, they are refreshingly unscented. Hypoallergenic and free from alcohol or parabens, they’ve been tested by dermatologists so they’ll be good for babies with sensitive skin. Another nice feature is that they won’t leave any annoying residue behind. They come in disposable soft packs that can be easily stored in diaper bags when a hard pack wouldn’t fit as well. Each has a flip lid so you’ll always be able to grab one quickly. Unfortunately, they won’t auto-feed, which means the next wipe won’t already be sticking out waiting for you. These are strong and won’t tear on the job. Suitable for sensitive or delicate skins. They do create a small amount of suds. You’re going to burn through an insane amount of wipes. Your child will likely go through more than 2,500 or 3,000 diapers in their first year alone, and that’s going to require seemingly millions of the things (source). Since you’ll be using so many wet wipes, you may be tempted to buy them in bulk. But if your baby hasn’t been born yet, that would be a mistake. If your baby ends up with sensitive skin, you may have hundreds of wipes on your hands that will be worthless. It’s best to hold off on making a big purchase until after you’ve tried the brand you’re considering on your baby’s bottom (source). Buy smaller packages to use in the first couple weeks and see which ones work best with no irritation to your baby’s skin. After you’ve found the winner, then you can buy them in bulk. If you assume that your baby will go through the typical 2,500 to 3,000 diapers in their first year alone, you can multiply that by about five to see how many you might go through during that time: as many as 15,000! That may seem excessive, but it’s true. For most wet diapers, you’ll only need one wet wipe per diaper. That’s a pretty straightforward, clean job. But when you factor in poopy diapers, things can out of control, especially if there’s diarrhea involved. For the horrifying diaper changes, you’ll need way more than one wipe. I can remember some eye-watering, totally nasty diapers for which I used about 10 in total. And when my first baby had rotavirus and watery diarrhea for days, I blazed through containers like crazy. I had to clean her back and lower legs with wet wipes after what seemed like a massive poop volcano exploded in her diaper. I couldn’t even put her in the bathtub until I had gotten the filth off her. You’ll also be reaching for those wet wipes for other situations, too. 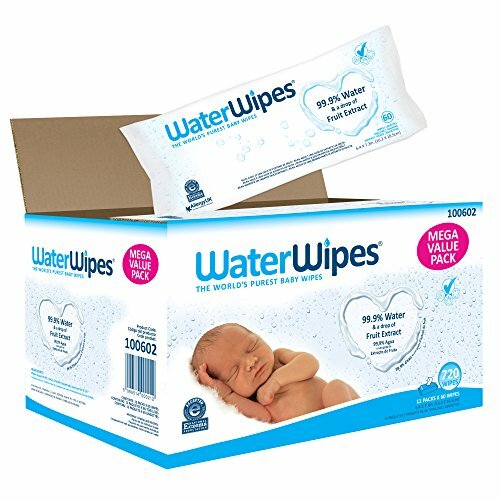 If you’re on a road trip and your baby’s hands are filthy, or you don’t have a sink to clean your own hands after a diaper change, you’ll want those wet wipes. And if your baby gets her meal all over her face? Wet wipes. They come in handy even when your kids are bigger. If you’re camping with your family, you can use them to clean your face at the end of the night or wipe down your child’s eating area. You’ll want to keep some at home, of course, but they’re also handy in a diaper bag, or give an extra container to your child’s caregiver or keep a stash at grandma’s house. You might even want to keep a container in the car for traveling emergencies. If your brand comes with added lotion or oils, it will last around 3 months opened, and 2 years unopened (source). Plain water wipes or those with fewer ingredients my last longer, particularly if you’re careful not to let them dry out. If in doubt, almost all brands come with an expiry date on the package. Store upside down if they’re in a soft package or make sure the lid is closed if they come in their own container. Be careful when buying in bulk or online to make sure you’re not committing to wipes that will only expire in a month. If they do dry out, though, don’t despair — you may be able to bring them back to life by spritzing with a little water before use. Although they aren’t biodegradable, my favorites are the WaterWipes baby wipes. If they aren’t irritating to babies with eczema, that means they’ll be extra gentle for all skin types. I love that there are just two all-natural ingredients in these. If you feel strongly about not contributing to landfill waste though, I’d go with the GroVia cloth diapers instead, or do a combination — GroVia wipes for home use and WaterWipes for your diaper bag and traveling purposes. That way you’ll be helping the environment at least a little. Either way, if your baby breaks into a rash from the brand you’re using, don’t feel bad. It happens to many parents. Just try some new formulas and your baby’s skin should clear up in a couple of days. What’s your experience with baby wipes? Have you tried biodegradable brands or cloth wipes? As always, we’d love to hear your opinions in the comments! Did you consider Huggies Natural Care wipes? If so, would you recommend water wipes or pampers sensitive to use instead? Hi Sam, thanks for reading! 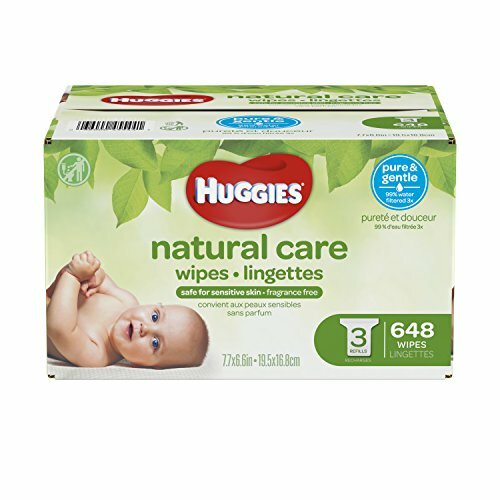 Huggies Natural Care is #6 on this list and is great if you want wipes with natural, chemical-free ingredients specifically chosen to clean your baby’s skin gently, but effectively. 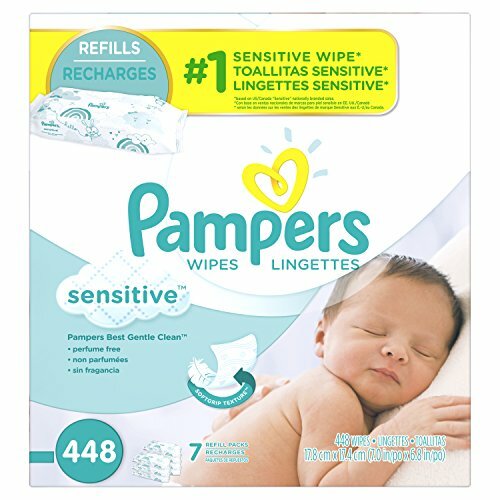 Pampers Sensitive wipes are also mild but still contain some chemicals. WaterWipes are 100% natural — the ingredients are 99.9 percent purified water and a bit of fruit extract in the form of grapefruit seed extract, which is a natural skin conditioner great for sensitive skin too.